Israeli soldiers invaded, Tuesday, the town of Sebastia, north of the northern West Bank city of Nablus, and removed a Palestinian flag that was raised on a pole at an archeological site in the town. Mohammad Azem, the mayor of Sebastia, said the soldiers invaded the archeological area, removed the flag and detonated the pole and its concrete ground several times. Azem added that the attack was provoked by illegal Israeli colonists, who also visit the area under heavy military deployment, and repeatedly complain to the military, demanding the removal of the Palestinian flag. He also stated that Israel has plans to pave a new road, to be solely used by the army and the colonist settlers, in addition to planning to reconstruct and maintain the archeological area, in violation of UNESCO regulations. 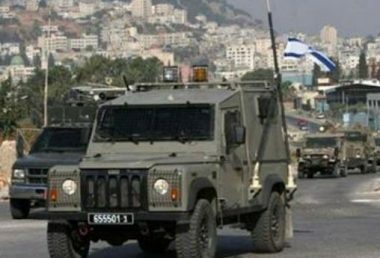 On Tuesday at dawn, dozens of soldiers invaded the Deheishe refugee camp, south of the West Bank city of Bethlehem, in the occupied West bank, and clashed with dozens of local youngsters, before shooting and injuring eight Palestinians, including a medic, and abducted a young man.